Treat your sun-loving bod to this sun-loving bud. Just barely through customs, this crazy-dark 100XXX Bronzer is absolutely laden with lush amounts of the good stuff. Tanijuana's virgin hemp seed oil is nature's finest hydration- essential Omega lipids make skin buttery soft with an even tone & glow. Potent bronzers provide such advanced dark & deep color, this could be your new favorite one-&-done lotion. • Advanced 100XXX bronzing provides deeper longer color for the most discerning of tanners. 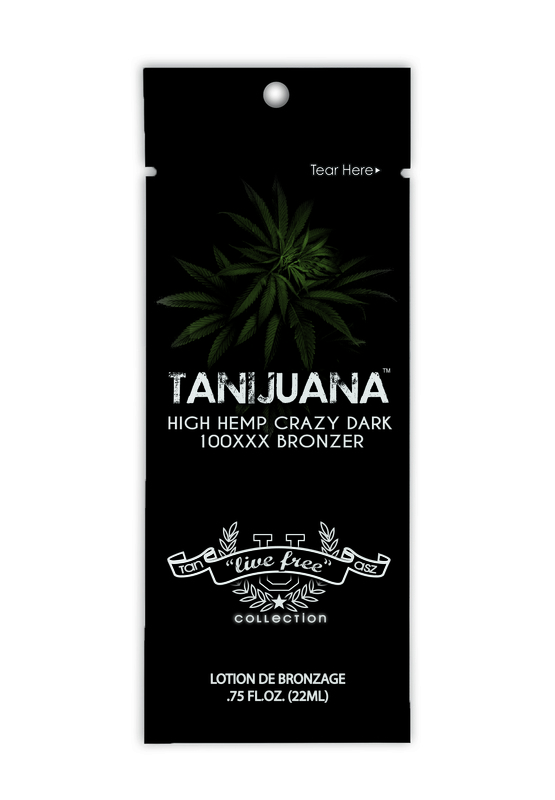 • Highest concentration of (THC-free) Virgin Hemp Seed Oil for finest moisturizing available in a tanning lotion. • Max silicone emulsion for uncanny softness and heavenly application.